sunshine and whimsy. : this is so me! I saw this print, burst out laughing, and elbowed Tony, This is so me! Skittles are one of my favourite candies, I love my fanny pack, AND I'm going to Korea in June! 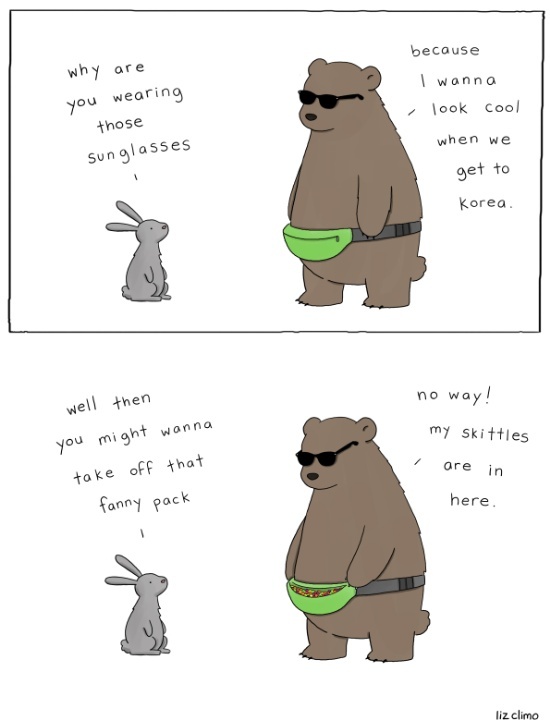 Liz Climo, I love your work.